Along with the Aurora LED Rings, Alphacool also offers the Aurora Flexible Light. Just like the Aurora LED Ring RGB, this Flexible Light comes in RGB. The power supply comes through a 4-pin molex which can easily be connected to a fan controller, the motherboard, or a power pack. The RGB controller is also on the 4-pin molex, where the colour and brightness can be set. Ich habe ein Aquacomputer Farbwerk USB und wollte Fragen oder es die Alphacool Aurora LED Flexible Light 60cm auch ohne RGB Controller geben tut. Nein, die Aurora RGB LEDs gibt es aktuell nur mit Controller. Eine andere Ausführung ist uns nicht bekannt. 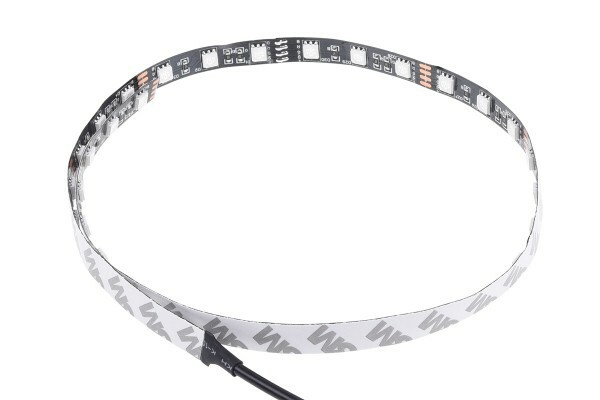 Leuchtet dieser Led strip auch in UV ?